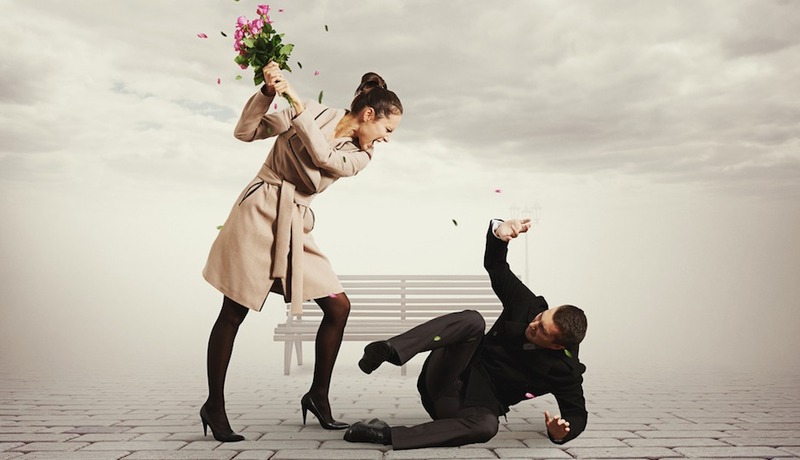 Home Alpha Dude Series How Alpha Male Handle Rejection? Rejection! One of the most significant reasons that many people never achieve in their lives is that they are addicted to the approval of others. For many of us, this came as conditioning from our parents. All children want is acceptance and love, and we learned that if we did what mom and dad approved, we sometimes got that love. If you do good, Johnny, we’ll like you, and that means you’ll be worth something. Otherwise…. well, you’re just what you want to think you are. The thoughts of other people have no real impact on you if you have a strong enough sense of self. No matter what you do in life, there will always be people who don’t like you. Get used to it. let us know what that really mean by being rejected and what you need to do about it, in more detail. What Rejection Feels Like, Tastes Like And Be Like? Rejection feels like a kick in the gut. isn’t it? It entirely depends on the situation. (I am talking about relationships, its more or less same for every other rejection that we face). In one situation, you love someone a lot, you are confident about making her happy, you have literally ready to give everything to that relationship and then you get rejected ! Why? Because someone was better than you in one aspect or the other. You feel dejected, disappointed, despondent, feel like keep trying but that moment when she said I don’t have any feelings for you , you just died on the spot. When she just left because you screwed up big time, and you are trying to make amends and you come to know she is with someone else and has no feelings for you anymore, no matter how hard you try she wont come back. EVER! In other situation, you found a girl who you think she would be perfect for you, you think how good it would feel to be with her, how good it would taste to spend your life with her, how good it would smell when you have kids together, and how good it would be to spend old days and die together. literally you dream everything without even knowing that what she thinks of you whether she would like to be with you, you just start living in your own reality, but when you finally compiled up all your guts to approach her and tell her what do you think of her and confess everything that you would like to do those kinda stuffs with her. And then she rejects you by saying “who the hell are you” or “be in your limit” or “I’m not interested” or “I don’t want to involve in these thing” or “I don’t see you that way” or “you’re a very good friend of mine and “we could be a good friend” basically friend zoned, and when she starts showing you that she loves another guy and always talk about him and show you her private pics with him to you so that she get rid of you. These are rejection. Rejection really hurts man! isn’t it? Love, commitment make rejection hellish to bear. You have panic attacks, sleepless nights, nervous breakdown, crying every time you remember those memories from upside down and inside out. Let me tell you a story of my friend who loved a girl so much but she rejected him because he was short. It all started with competition. He was preparing for the SAT exams. She was studying in the same high school . He used to be good in academics at that time. But due to her he always came second in his class. Ya, its a geeky story of geeky people. So, he holds grudges for her. He did not do well in his first attempt. he was really depressed about it. But an evil happiness came when he heard that even she has not qualified. They both were preparing together for the SAT. This time he got to know her well. And whatever time he spent with her was amazing. She was good in Maths so, he always used some excuse regarding mathematics & kept talking to her. after sometime his feeling of grudges changed to a serious crush. He did managed to get into an ivy league , but she did not. As she was not a very social person he was unable to talk to her until the after 2 years.He got lucky when she opened an account on Facebook. So, again they started chatting daily, usually about college, cultural fest etc. It continued for an year. He knew that he liked her a lot & he was unable to concentrate on other things due to that. So, he decided to play a prank on her to check whether she likes him or not. So, he texted this to her on WhatsApp “I love you”. After reading that she got upset and started saying things like, I think of you as a friend etc. Basically he got friend zoned. He started covering himself by saying that it was a prank & they are experimenting it on every girls in their college. After hearing that she was like ‘Okayyyyy’. But he got his answer. Story did not end here. During the winter breaks, they chatted a lot. Again he felt the urge to express his feeling to her in real. He did not had guts to express his feelings in person so gathering all his courage he proposed her on WhatsApp. But for some reason she did not open WhatsApp for two days. He became restless, then called her and asked the reason she said she had family issues. Then he told her that they need to talk urgently. This time he did respect her decision and told himself “dude back off you’re not that fortunate”. Now they’re still good friends. He moved on in his life as did she. But sometimes he does wonder and often says to me that he would have done much more better in his life if she would have been there with him. Now what did you learn from this story? First off never tell a girl that you like her on social medias like WhatsApp or Facebook, it’s Anti- Alpha. You need to be confident enough to confess her face to face what do you really feel for her, rejecting on the spot, face to face is much better than virtual faces as our profile pics on social media. Second, never feel sorry for your appearance, be the best version of yourself by working hard, by being poised, by being elegant and never say things like you would have done much better in her life with her. It is simply implying that you don’t have your own existence or reality, you would do better when she stays with you and bad when she won’t. 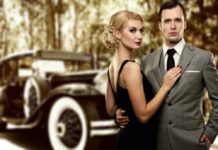 In fact, show the world and that girl too that she missed a good partner as now you have decent income, house, car, lifestyle. Trust me no girl will chose a man with six pack over the man with six cars. And If you think she will marry the man who have six cars and cheat on him with the man with six pack, then let me tell you, if she is a right woman she will never cheat on you. And the man with six cars is a learner he will learn ways to satisfy his woman, give her sexual pleasure the way she wants. 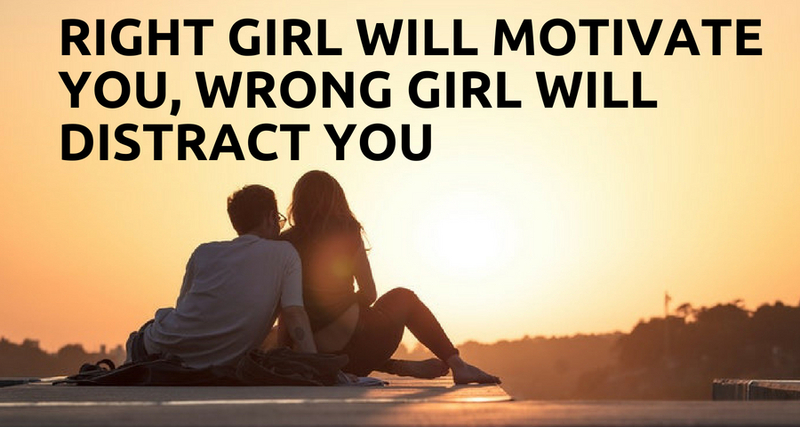 Right girl will Motivate you, Wrong girl will Distract you. When you get rejected, don’t lock yourself up in your room and cry, don’t feel sorry about you, don’t spend time on Netflix eating unhealthy and junk food,don’t take drugs and ruin you mental, physical, emotional and spiritual strength, BUT DO THE OPPOSITE. Embrace yourself up by opening all the doors and windows of your room that she saved you from being regretful, try to find your immense limitless power and enhance it, work on your sub-conscious mind so that you attract everything you ever want from life, and be more powerful mentally, physically, emotionally and spiritually. Next articleWhat is the Law of Attraction and how to Manifest it in your life?